Hey, keyholes aren't just for tops and dresses, OK? 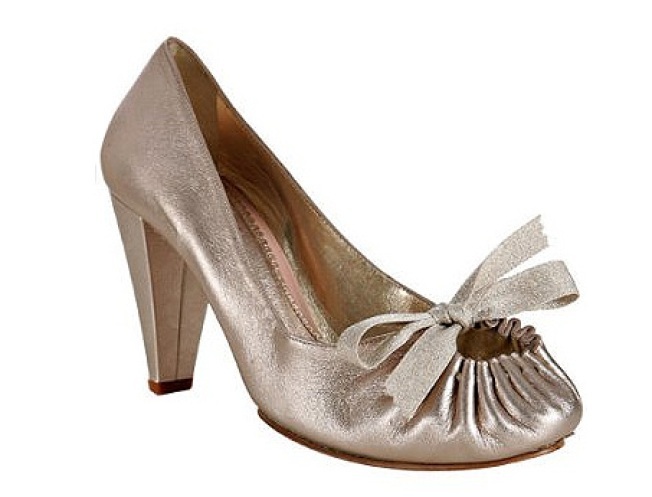 Champagne metallic pumps by Maloles (were $425; now $255) feature a drawstring keyhole with flirty bow. We never knew true love until now. Brighten up fall considerably via the Cascade Keyhole Tank ($165) by Robbi & Nikki sure snapped us awake. Available at Cusp locations (3030 M St. N.W. or Tysons Corner Center) or online (free shipping with code NOVCUSP). Ornate beading and a simple keyhole share the spotlight on the House of Spy Sunday top ($150), available at Nana (2528 U St. N.W.). Psst: You can score the sunglasses there, too -- they're $65 from Hobo International.